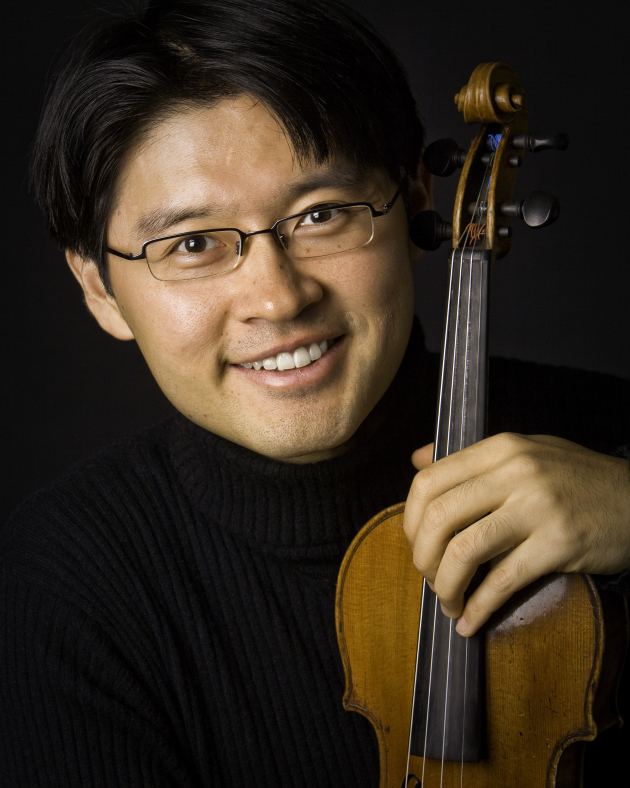 It turns out Kyu-Young Kim is not leaving the Saint Paul Chamber Orchestra. The principal second violinist created a stir in February when he requested a leave of absence after winning a position with the New York Philharmonic. Unstated at the time was the question of whether Kim's wife, Pitnarry Shin, a cellist with the Minnesota Orchestra, would move to New York. The SPCO announced Monday that Kim has been appointed senior director of artistic planning, a senior management position. At the same time, he will be allowed to perform. The arrangement is unique in American orchestras and the announcement came the day before Kim was supposed to start with the New York Phil. "It was an agonizing decision," Kim said in a phone call from New York. "A lot of it boiled down to this being a job that no one has ever done before. It was a risk I thought was worth taking." The move is a coup for the SPCO, which just concluded a season shortened by a 191-day lockout. Kim previously had served as associate concertmaster from 2000-05 with the SPCO and then left to form the Daedalus Quartet in New York. He returned to the SPCO a few years later and was a member of the bargaining team in the fraught contract negotiations. Asked what his dual citizenship in managment and the orchestra would mean going forward, Kim said he still has to work out the right balance between his day job and playing violin. He also said that with a three-year contract in place, any decisions that might come up during potential labor strife "have a three-year runway. We're comfortable with that and making this job work." Kim said it was a tough conversation with representatives of the New York Phil, telling them on the eve of his debut that he was heading back to St. Paul. "They were very understanding and it's not that I was leaving them for another orchestra," he said. "This is a unique opportunity. It's crucial for orchestra musicians to be heavily involved in the planning process." Kim replaces Patrick Castillo, who is moving to New York.